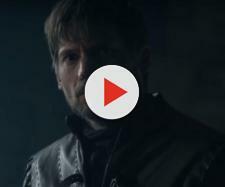 The Golden Company and Euron Greyjoy have a surprise for Cersei in 'Game of Thrones' Season 8. When Euron Greyjoy decided to join sides with Cersei Lannister, we somehow suspected that he has an ulterior motive for doing so. We know that he is power hungry from the moment he killed his older brother Balon Greyjoy, King of the Iron Islands. So when he pledged fealty to Cersei, it must be for selfish reasons. Now according to a theory, Euron will eventually betray the queen in “Game of Thrones” Season 8 and a scene in the Season 7 finale may have confirmed this. During the meeting at the Dragonpit, Jon Snow and Daenerys Targaryen brought a wight to prove that the threat of the White Walkers is real. 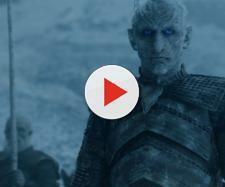 They wanted to get Cersei Lannister’s support, so they showed her the wight. Initially, the queen declined to send her men because Jon refused to yield to her request that he does not support either Lannister or Targaryen. However, Tyrion risked his life and talked to Cersei afterward. She gave him her word that she will send her soldiers to battle in the North and Tyrion passed on this message to Jon and Dany. Of course, we later learned during Cersei’s conversation with Jaime that she lied. She does not intend to send her troops to battle the White Walkers. Instead, she revealed that she had made a deal with Euron Greyjoy to have the survivors of the battle killed. She also made this agreement with the Golden Company. We did not actually see this transaction take place in Season 7. Cersei only mentioned it to prove her point to Jaime that fighting the Night King would be useless. Lena Headey, who plays Cersei, said that Jon Snow and company would definitely be in for a surprise when they realize that the Lannister army is not in the battle. “Her lie will be very shocking,” Headey said. However, according to The Express, Cersei would be in for the worst surprise when Euron Greyjoy and the Golden Company betray her. She reportedly made the mistake of borrowing money from the Iron Bank to pay the company and sending Euron to pick them up and bring them to Westeros. In George R.R. Martin’s “A Song of Ice and Fire” novels, this group of sellswords from Essos are already fighting under Aegon Targaryen, who we learned in the Season 7 finale is Jon Snow. Likewise, in the novels, Jorah Mormont used to fight in the Golden Company before he pledged himself to Viserys. Perhaps this is where Jorah plays a big role in “Game of Thrones” Season 8 because of his connection with the fighters. He could intercept their arrival and even convince them to join in the fight against the White Walkers instead. As for Euron, he is no match for these sellswords so it would be wise if he leaves Cersei and stays on water instead, where the White Walkers cannot reach him.